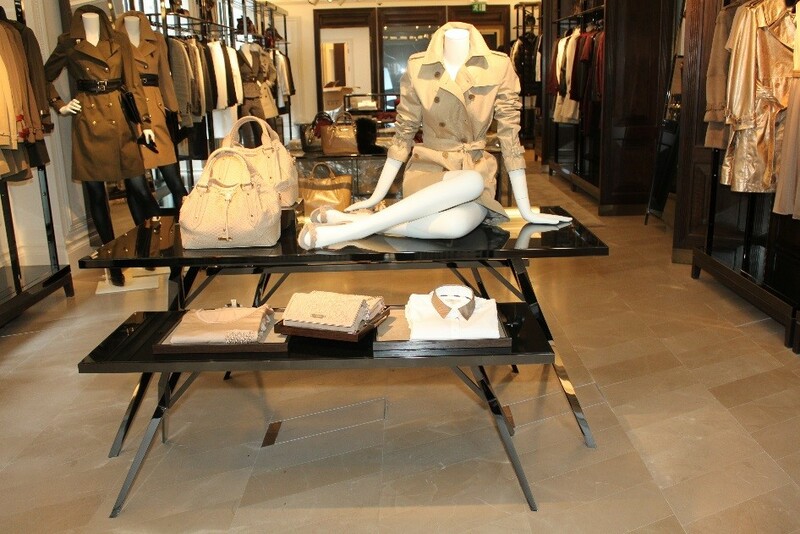 When Burberry was relaunching their flagship store, finish was all important. 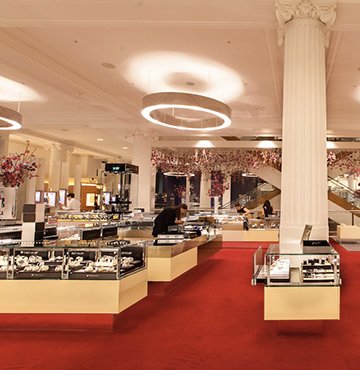 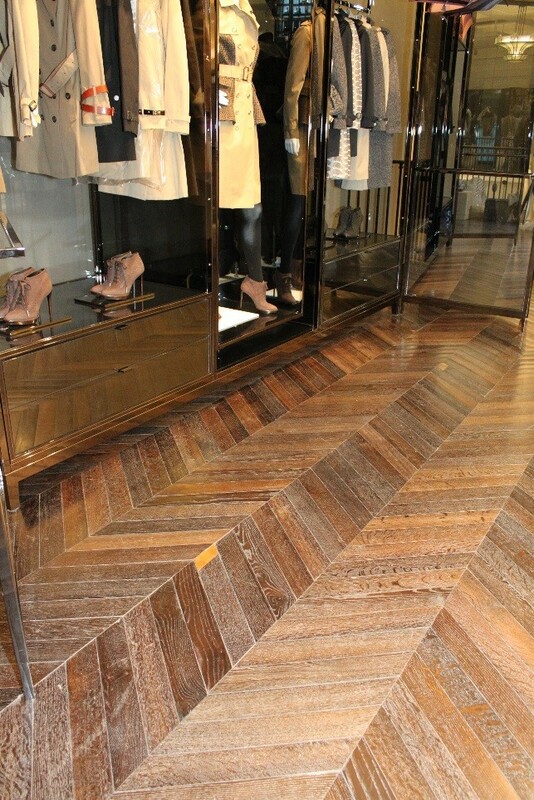 In fitting with their designs, each area of the store was fitted with varying exceptional floor finishes. 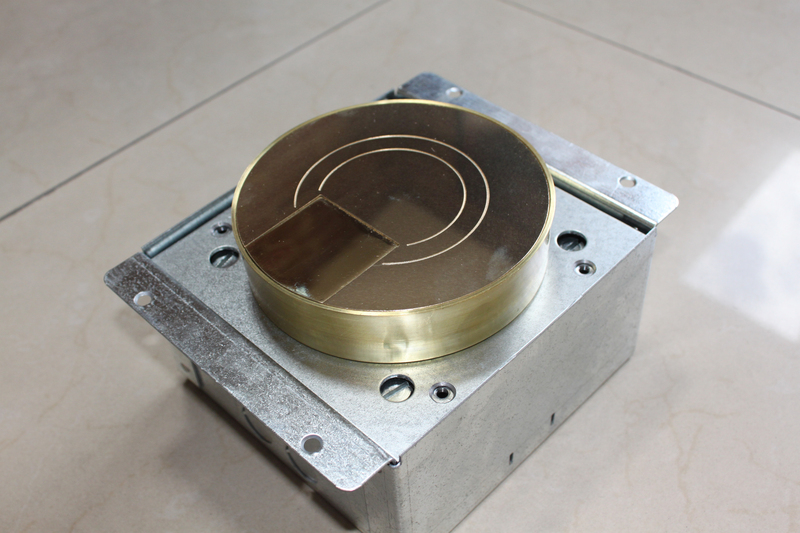 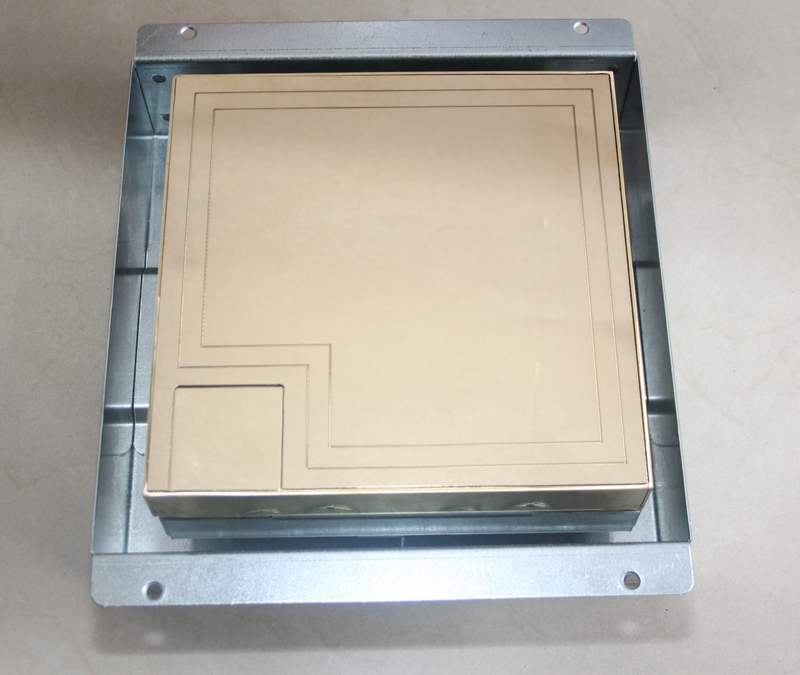 The problem was how to get the required power and data to the displays in keeping with these finishes. 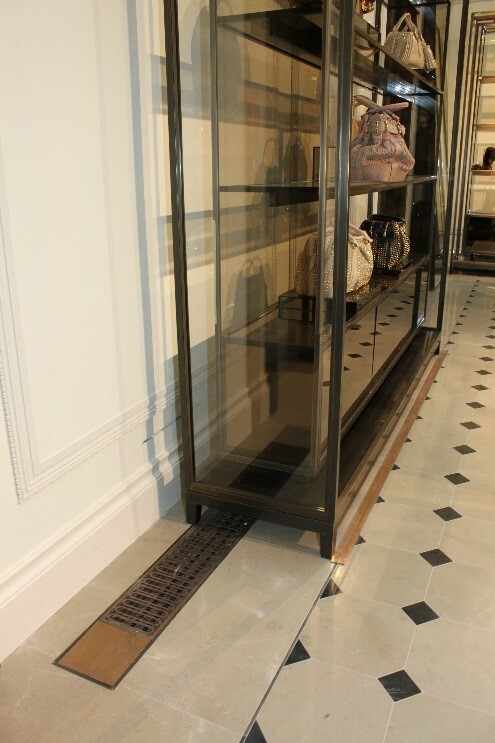 Cableduct designed a range of bespoke boxes, each tailored to the floor finish. 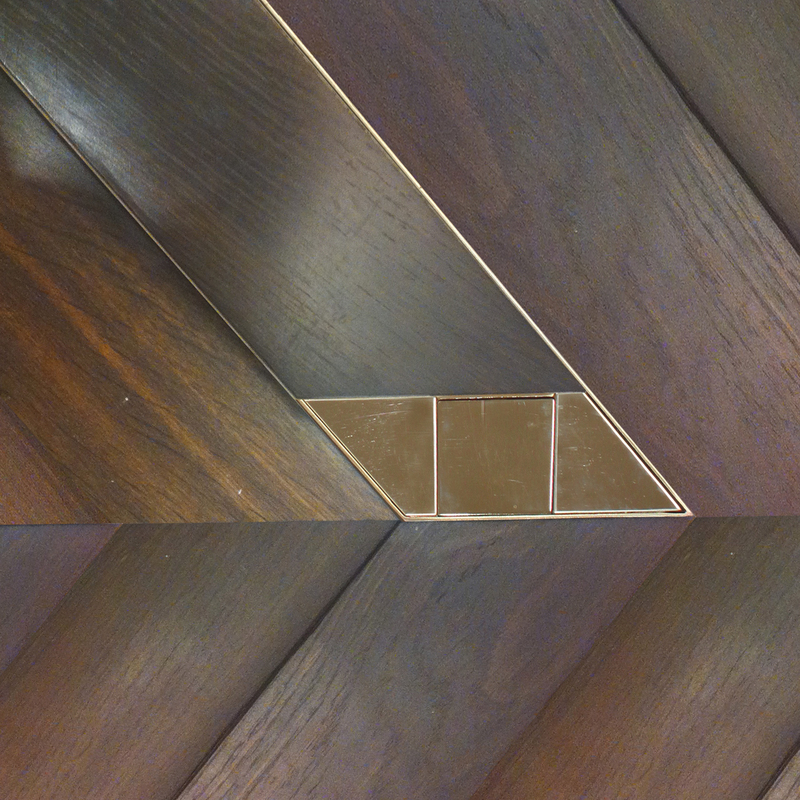 See below the tabs showing each individual solution. 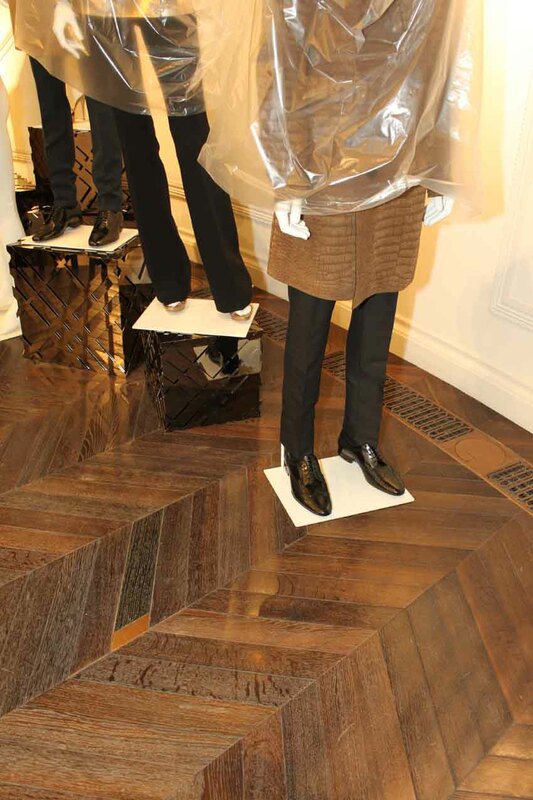 The designs have then been rolled out to all new Burberry stores. 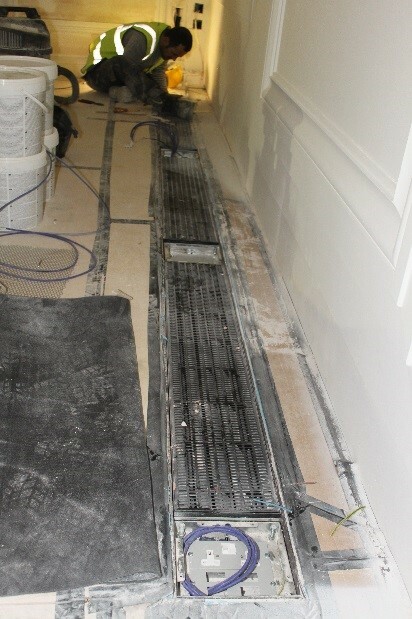 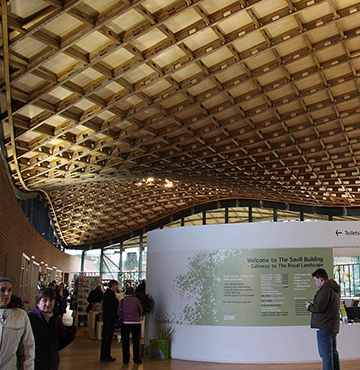 The main central area was being fitted out with 502x111mm parquet flooring. 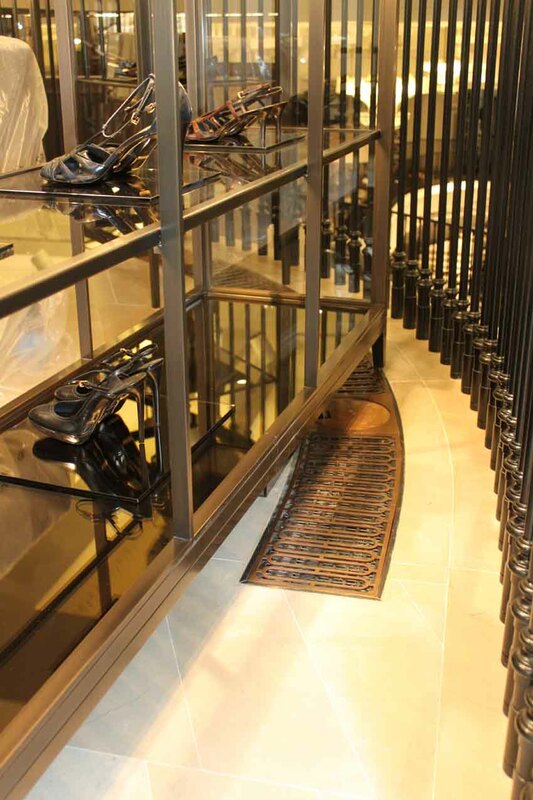 It was imperative that the boxes aligned perfectly with the surrounding planks, but also there were old structural steels beneath the floor that had to be avoided. 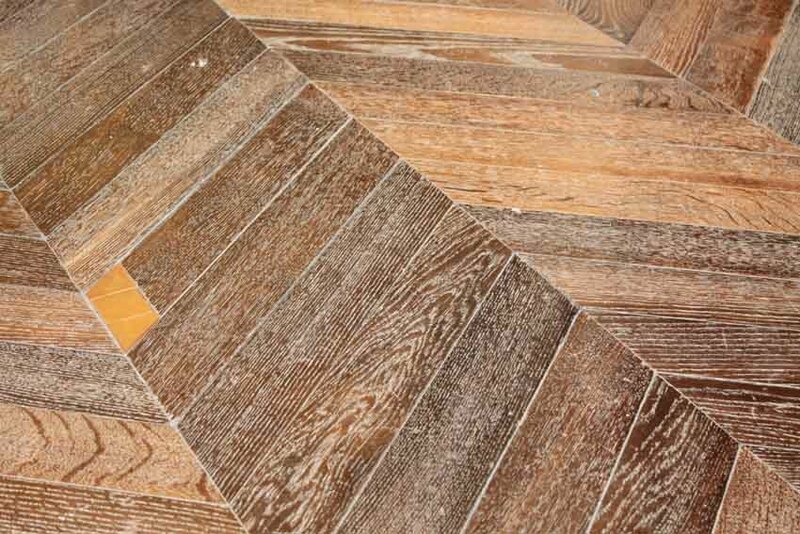 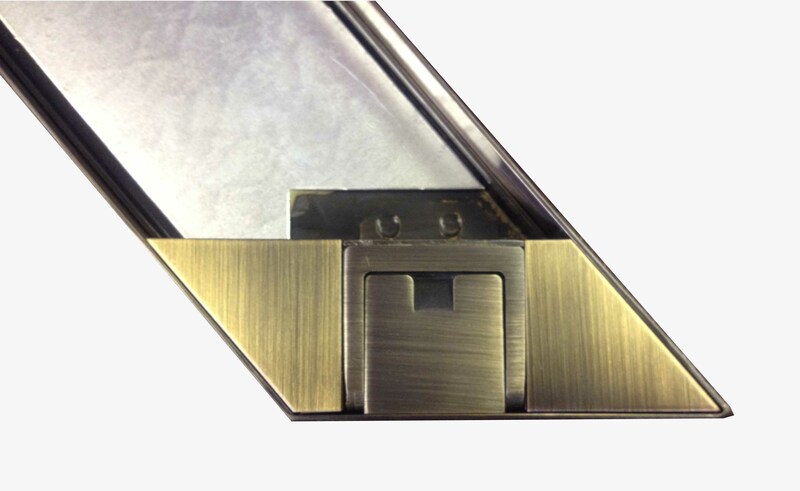 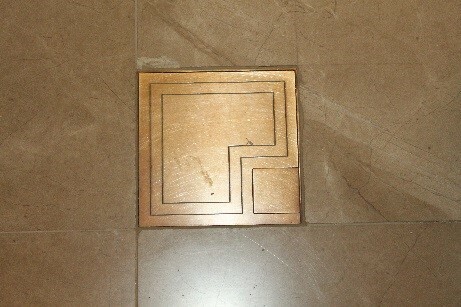 The floor box was designed as a parallelogram to exactly match the surrounding sections. 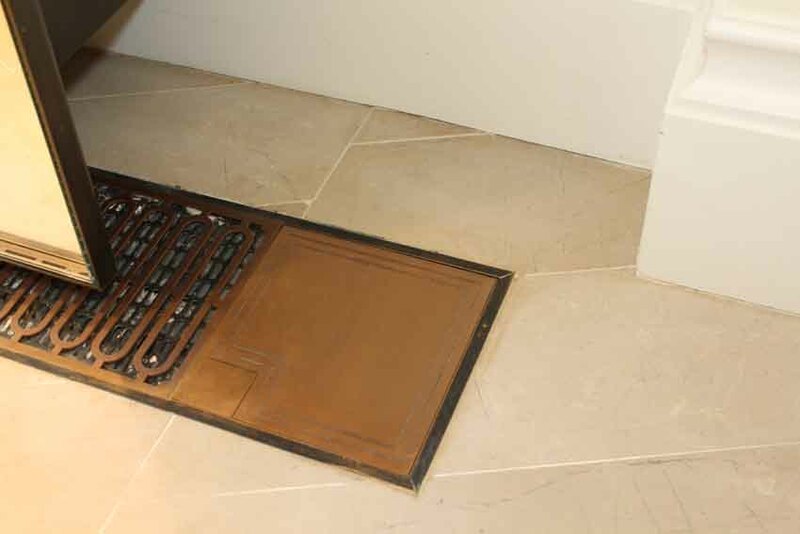 A bespoke base box was made giving lateral adjustment, that could fit at a plethora of positions on the main box such that the steels could be avoided whilst not affecting the layout of the parquet. 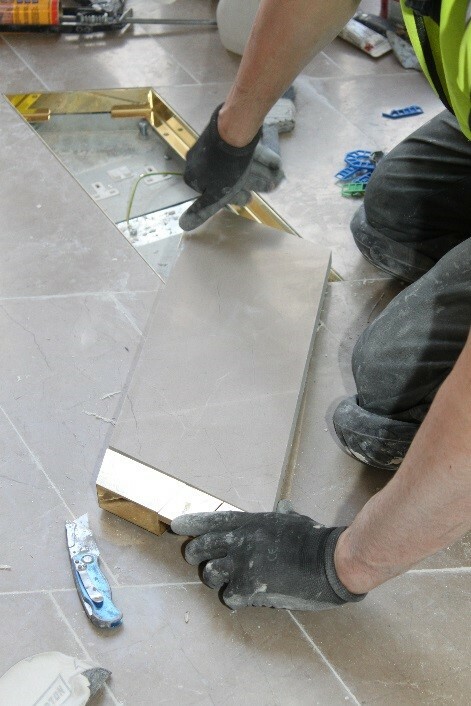 The main foyer was fitted with large 900x900mm tiles. 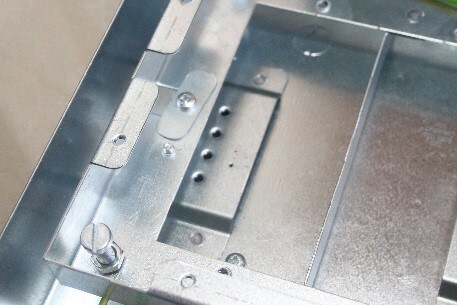 The majority of the displays were fed by small 125x125mm single socket outlets. 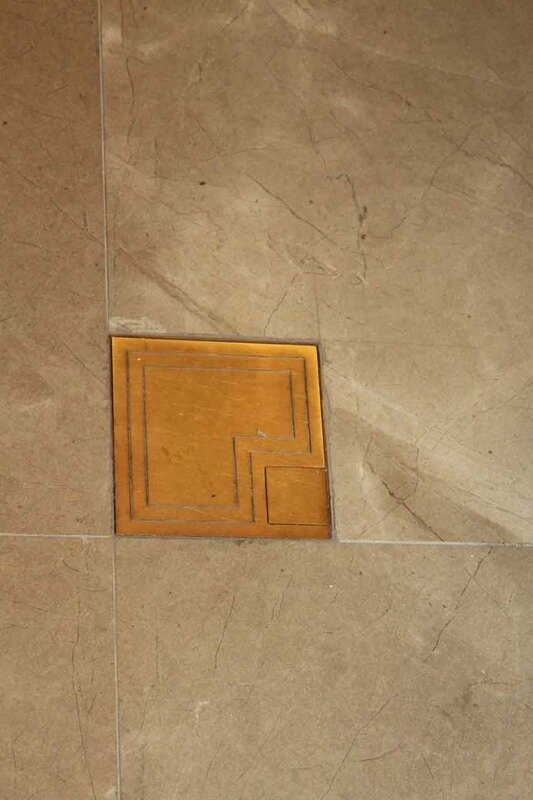 To ensure that they aligned perfectly with the corner of the tile they were fitted with oversize base boxes giving lateral adjustment. 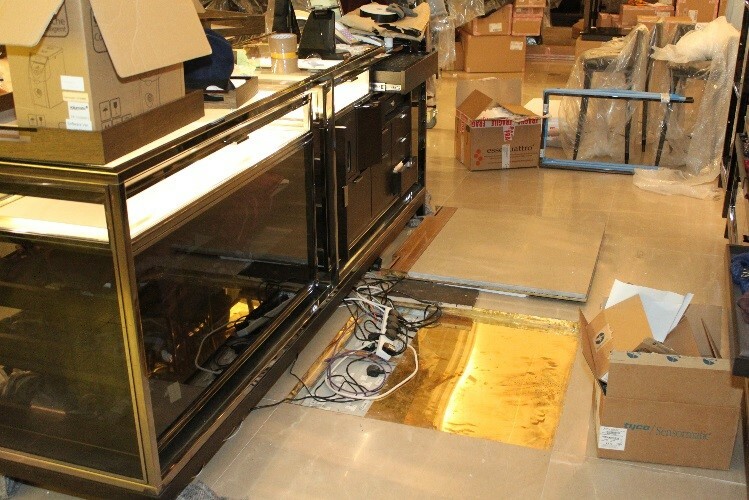 However the till points needed to be supplied by a large number of power and data connections. 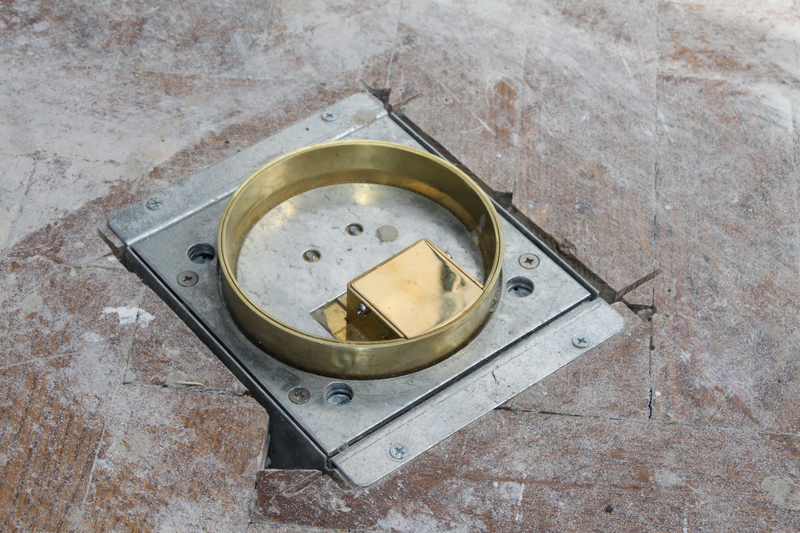 Cableduct designed a floor base box 900x300mm to provide all the required connections, but then made a tray lid and frame 900x900 to align with the surrounding stone. 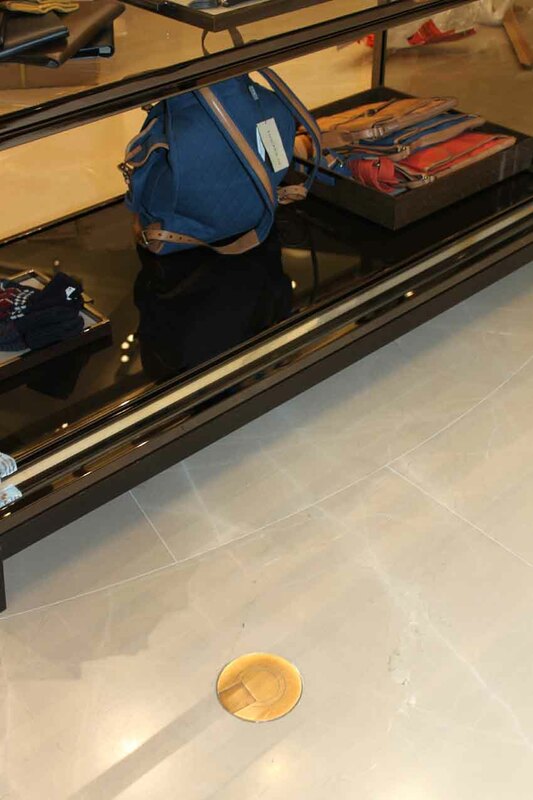 Ladieswear was fitted with a 500x200mm slipped stone. 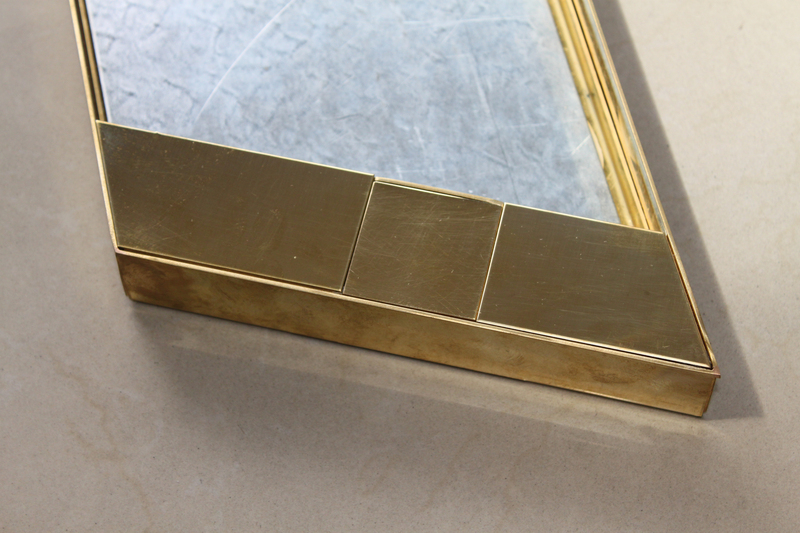 It was imperative that the boxes aligned perfectly with the surroundings, so the parallelogram lid was matched with an oversize base box to give lateral adjustment. 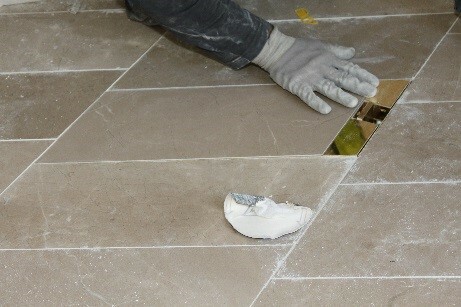 The sides of the lid were reduced so that the stone tile infill was rebated to completely cover the edge of the lid. 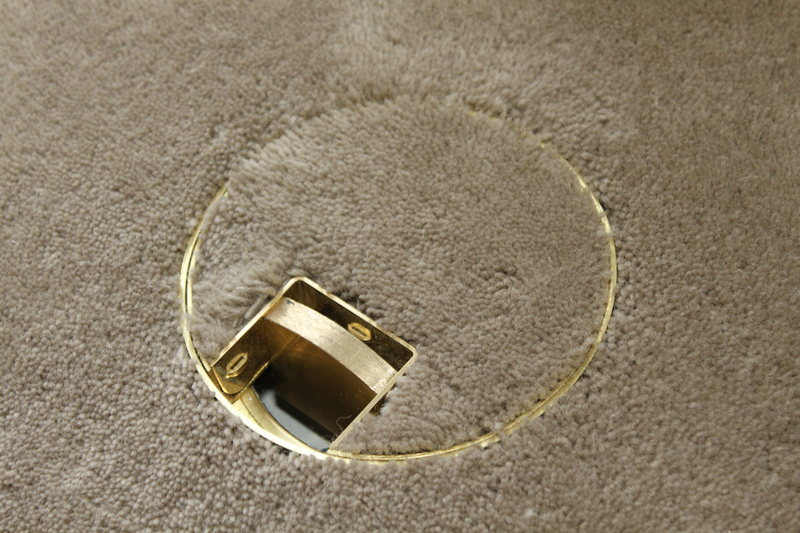 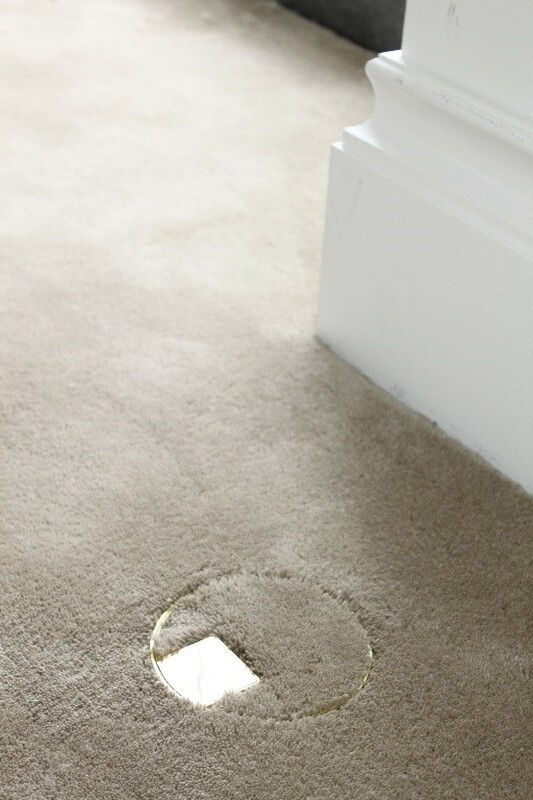 There was a requirement in the carpeted areas to replace our standard outlet flap with one that would be completely flush when in use. Cableduct designed a bespoke flap that could rotate open and recede inside the box when in use. 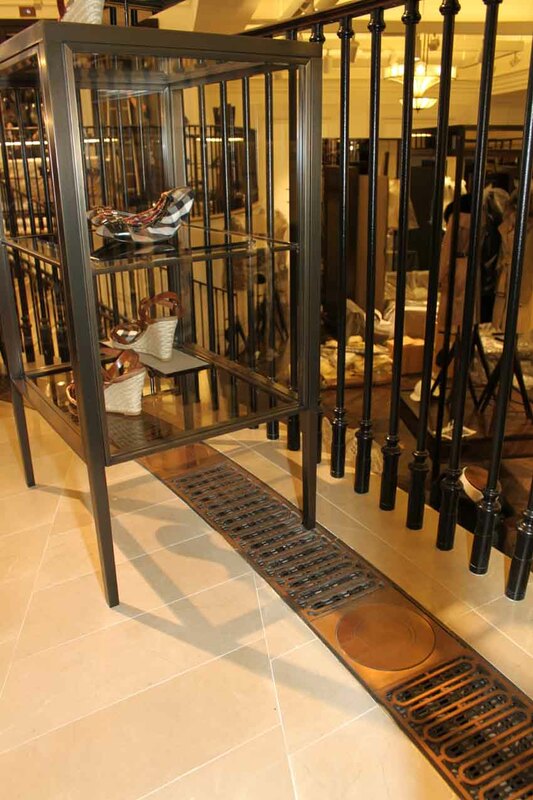 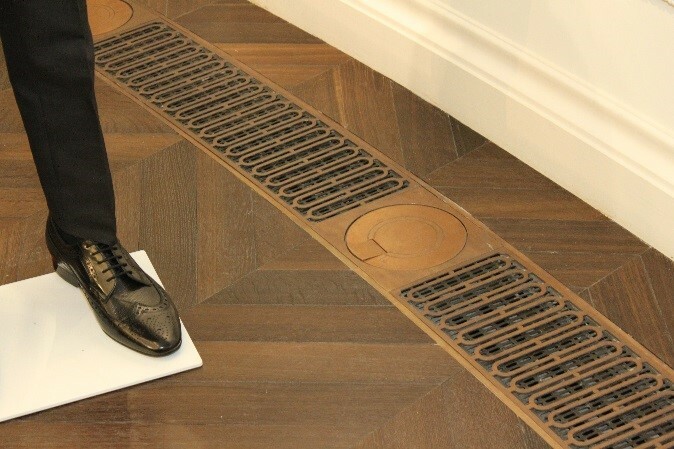 Handbags and shoes each had bronze grilles around the outside, and it was decided that the floor boxes should be mounted within these grilles. Handbags had straight grilles, and a square box was manufactured to fit within the length of the grill. 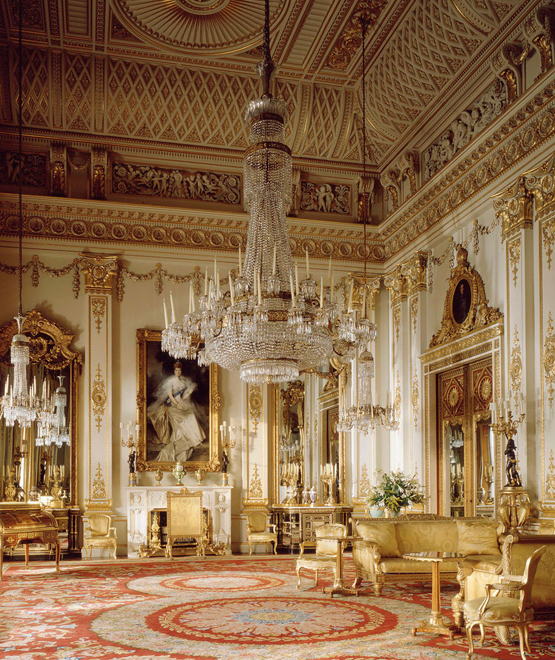 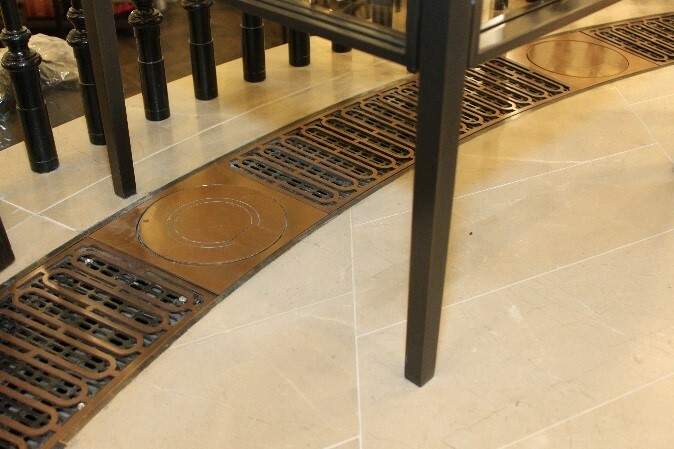 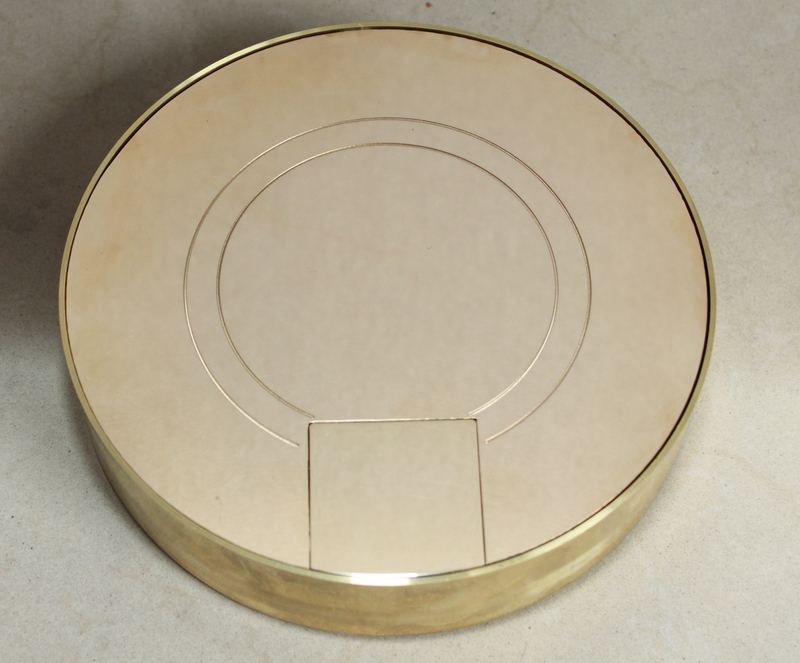 The Grand Galleries and ladies shoes both had a curved grill, so a round box was manufactured to fit within the run.